Dress up your lemon butter cookies with some gorgeous, tasty raspberry jam and zesty lemon! 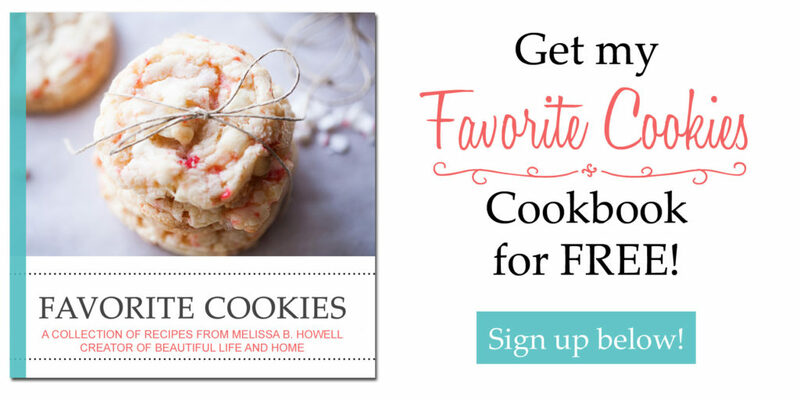 This recipe for Raspberry Lemon Butter Cookies is one you don’t want to miss! I recently declared my love for shortbread cookies in my post for Lemon Pistachio Shortbread Cookies. As far as I can tell, shortbread cookies and butter cookies are pretty much the same thing. Both just have three simple ingredients in their dough–butter, sugar, and flour. While my recipe for Lemon Pistachio Shortbread Cookies uses powdered sugar, this recipe uses granulated sugar. Another difference is that shortbread cookies are rolled into a log and cut, while butter cookies are individually scooped. Whip up your dough using butter, sugar, lemon zest and flour. Then use a small cookie scoop to make balls of dough and put them on a cookie sheet with a baking mat, or on stoneware. (I always recommend stoneware or baking mats for cookies rather than just naked metal pans). Then you’re going to take a 1/4 teaspoon measuring spoon and make an indentation in the cookies. Now you’re going to use that same 1/4 teaspoon and scoop up some raspberry jam. Then just drop it into the center of each cookie. Sometimes I use another spoon to help the jam get out of the teaspoon and onto the cookie. Now you just bake the cookies in a 350-degree oven for 9-11 minutes. If you are using stoneware, it will take a bit longer. Wait until the edges are just barely starting to brown. You don’t want to overbake these. Let them cool for about 5 minutes before you transfer them to a wire rack. Then watch these disappear before your very eyes! They are the perfect treat for baby showers, weddings, or any day of the week! This recipe first appeared on Somewhat Simple and was adapted from the recipe, Strawberry-Lemon Butter Cookies in the book, Savoring the Seasons with Our Best Bites. (You can click on the link to order from Amazon). Mix the butter and sugar together until creamy. Add the lemon zest and mix. Slowly add the flour and mix until incorporated. Using a small cookie scoop, scoop dough and place on an un-greased cookie sheet, baking mat, or stoneware. Using the back of a 1/4 tsp. measuring spoon, indent each ball of dough. Using the same 1/4 tsp. measuring spoon, place 1/4 tsp. raspberry jam in each indentation. Bake for 9-11 minutes (longer for stoneware) until the cookies are barely set. Remove from oven. Let cool for about 5 minutes before transferring to a wire rack.